Excellent opportunity to join a highly reputable, innovative and proficient staff team that passionately pursues excellence in this mission-driven YMCA. This position is responsible for leading a staff team to provide exceptional excellence in the development, promotion, organization, supervision, and evaluation of YMCA Early Childhood programs. 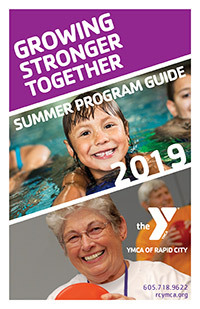 This includes fostering a culture of building relationships and connecting people of all ages, races, faiths, abilities and economic backgrounds to YMCA programs and activities. This position is located at our Horizon Point location. We are looking for an energetic person who has great pride in their cleaning abilities. We need a team player who can work independently. Job duties include primarily custodial tasks with some minor maintenance. No experience necessary. Must be at least 18 years old or older. The Camp Counselor is responsible to the OST Associate Director for excellence in the Camp program. The Camp Counselor is responsible for providing a safe program, planning fun age appropriate curriculum, connecting with children and their parents, maintaining a positive environment that enhances the child’s social and physical development. A. Conduct the YMCA Camp program such that at least 90 percent of program participants and parents rate the overall quality of the program as good or excellent. B. Implement age appropriate curriculum with an emphasis on safety and growth in social and physical skills as measured by monthly absolutes with at least 95 percent parents in agreement. C. Provide mission based, fun, age-appropriate, safe, meaningful activities such that 95 percent of the children return each year. A. Ensure the safety and security of each child in your care. B. Maintain site/room appearance such that 95 percent of the parents agree that room appearance is good or excellent. C. Ensure the proper maintenance and use of equipment, supplies, and materials such that use is safe and replacement costs are minimal. D. Fully comply with YMCA safety policies and state and local codes. A. Develop and maintain positive relations with parents in such a way that at least 90 percent of eligible participants are retained throughout each summer and at least 90 percent of eligible participants return the following summer. B. Manage and monitor expenses in such a way that expenses meets or is below budget. C. Ensure that positive relations are established and maintained between the YMCA and area tourist operators. A. Complete and file lesson plans weekly. B. Accurately complete an incident/accident report for each incident/accident and submit and report it in accordance with staff training. C. Maintain neat and accurate attendance. The YMCA is pleased to offer a Full-Time position with our Food Service Team. This person will be cross trained in various areas of our kitchen and meal preparation. Compliance with the CACFP (Child and Adult Care Food Program) and HEPA (Healthy Eating Physical Activity) standards will be followed. Previous institutional food service experience and CACFP is preferred but not required. We will train the right person. Cafe/barista experience preferred. This person must be punctual, clean, detail oriented and able to keep accurate records. Full and Part time positions available. We are seeking energetic and fun loving preschool teacher aides. Be willing to get down on the children’s level, run, play and interact all day long!! Experience preferred, but willing to train. Applicant must be certified, or currently enrolled in the certification course, in YMCA or American Red Cross Lifeguard. Lifeguard duties will include, but are not limited to, prevention, scanning, education patrons on safe swimming practices, enforcing rules, performing necessary rescues and first aid care, cleaning, We hold a high standard on professionalism and team work. Applicant must be willing to train for and take certification course o Teach YMCA swim lessons. Instructors must be highly motivate, safety conscious, able to follow policies and standards, teach to the standards and ensure their students are safe and having fun. Full and Part time positions available. We are seeking energetic and fun loving preschool teacher aides. Be willing to get down on the children’s level, run, play and interact all day long!! Experience preferred, but willing to train. This position is at our new child care facility located in the new Black Hills Energy building. Full- Time and Part-time positions available. We are seeking energetic and fun loving preschool teacher aides. Be willing to get down on the children’s level, run, play and interact all day long!! Experience preferred, but willing to train. Child Watch substitute positions. Do you enjoy working with children AND adults, making a difference every day? Are you friendly, enjoy variety and like to multi-task? This is a great job for someone with these qualifications and who wants to avoid a set schedule to allow for other obligations! With the Outreach Team, we build environments and grow ourselves to be innovative leaders for developing character and life skills in our youth, teens, and young adults. In this way, the Youth Center Aide works under supervision of the Youth Center Coordinator with children 6-18 years of age. He or she is responsible for leading a fun age-appropriate curriculum, interacting with youth in ways that promote character development, and maintaining a positive environment. Special areas of interest/knowledge include but are not limited to: arts and crafts, science, music, gym games, sports, cooking, etc. Shift hours include afterschool hours and evenings, occasional day hours during no-school days, and rotating Saturdays.